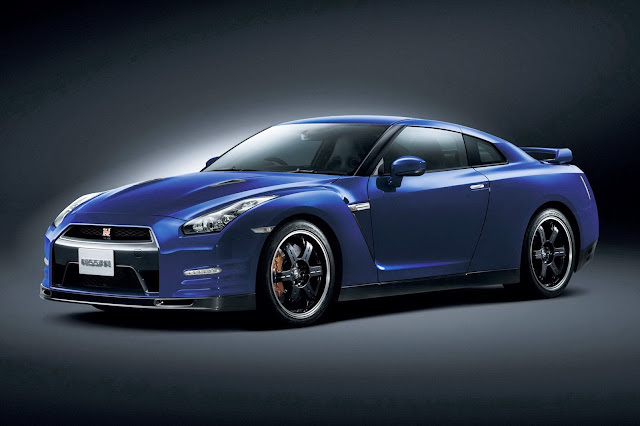 Motor Trend Magazine lays out all the numbers for the 2009 though 2014 Nissan GT-R, including the yet to be released Track Edition. They ask the question if Nissan can keep improving, keep the GT-R getting quicker. Expect to see the NISMO version shown probably at the Tokyo Auto Show at the end of the year. The NISMO will probably be sold in the US starting in 2014. Just in time for the original twin turbo all wheel drive modern muscle GT-R, the R32 to turn 25 years old. The Track Edition keeps pace with the previous 2012 Porsche 911 Turbo (0-60 mph in 2.7 seconds), and beats the Lamborghini Aventador (2.9 seconds). Considering the GT-R is running with some pretty lofty company, can the Japanese supercar keep evolving at this rapid pace? We can’t wait to find out. The 0-60 mph time has improved by 0.5 a second, the quarter mile has gained 5 mph, and dropped nearly another 0.6 to 0.9 seconds. Skidpad is now over 1.0 G. It is getting better and faster, even with car to car, and condition to condition changes. Can A Race GT-R Run 4x4?